It's Hemp History Week... Wait, What? Celebrate the wholesome uses of hemp! Ready to get high on, um, "life"? It's Hemp History Week through May 23, a time to celebrate all the wonderful uses of hemp, including food, fuel, textiles and even... building materials. Henry Ford designed and built a car from compression-molded hemp and other natural fibers. (The more you knoooow!) Other notable hemp farmers: George Washington, Thomas Jefferson and John Adams, who were all obviously clear-headed when they were founding this nation. Two years ago, Capitol Hemp opened its first location on 4/20 (a total coincidence) in Adams Morgan, offering products made from industrial hemp. A Chinatown location opened earlier this spring. 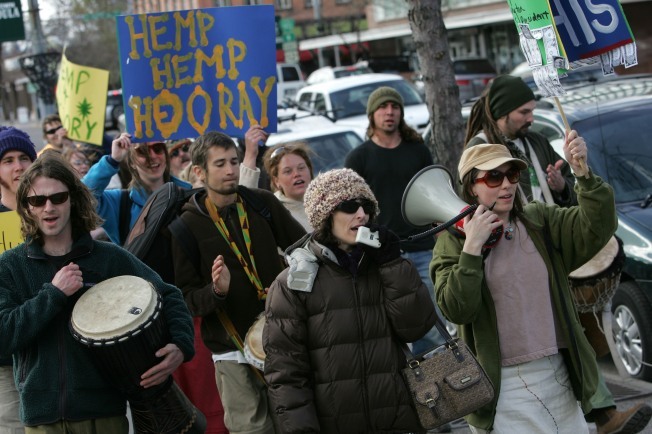 And Hemp History Week has activists meeting up on Wednesday, May 19 at 10:30 a.m. at the U.S. Department of Justice (950 Pennsylvania Ave. N.W.) to hand-deliver stacks of signed postcards and petitions to the office of Attorney General Eric Holder. Granted, we're not actually sure what they're looking to accomplish with these postcards and petitions. (Update: OK, it's "to help get industrial hemp farming going again in the U.S.") In fact, we're sensing a distinct lack of focus and motivation.